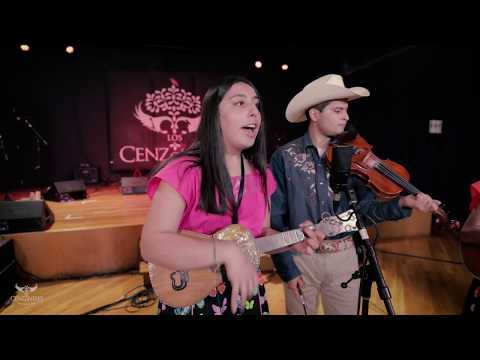 Los Cenzontles Juvenil, our wonderful Academy students, has released a fantastic album of traditional Mexican music. “Con Mucho Sentimiento” (With A Lot of Feeling) features skillful, passionate renditions of classic canciones rancheras, as well as sones Jarochos and arribeños from the Mexican states of Veracruz, Michoacan and Jalisco. Click here to pick up a copy! A celebratory CD release party on April 27th, 2018 marked the occasion with performances by the students. The recording process facilitates a new kind of learning process: students take greater ownership of their role as tradition-bearers of these valuable art forms, and gain invaluable and life-long skills of problem solving, leadership, teamwork and confidence. Pick up a copy of this magnificent recording and find out what the Los Cenzontles Academy makes possible for our young people.